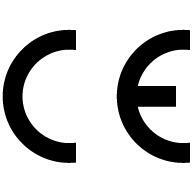 CE Certification is a process which gives the right to affix CE marking to a product. Ideally it should start on the development stage of the product, as there are certain CE requirements related to product safety, user health and environment that are good to know during the development. However it is possible to issue CE certificate for ready-to-use products. Products having CE certificate must comply with European safety rules and only after that can be traded freely within European Economic Area (EEA). The cost of CE Certification varies by Directive, product and scheme. Request a quote to understand what your certification will cost.